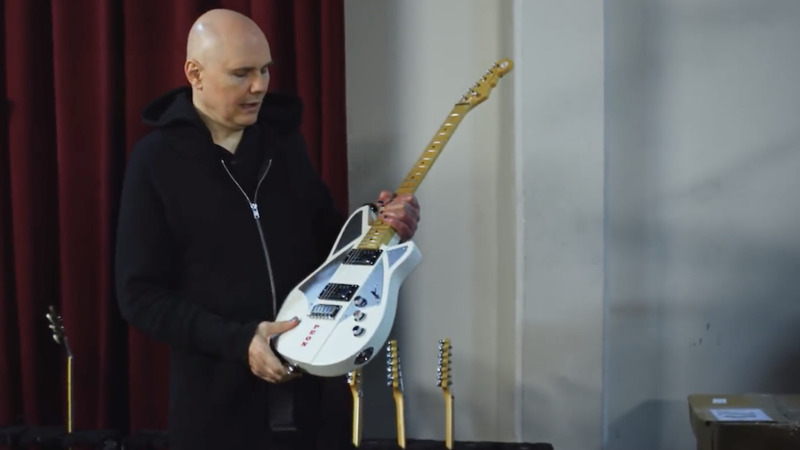 Now, I could never play a green guitar, but I think Billy’s crossed the sanity line. Perhaps he should stick to squash squashing. It sounds like he has entered the Eric Johnson zone. We all know that the finish of a guitar affects the sound. I suppose the colour pigment subtle affects the finish so there could be some reason behind it. Perhaps if you are so musically attuned you may notice the difference. Personally I struggle to spot my guitar out of tune! Uncharitable comments removed - got out of bed the wrong side. I certainly think that the more scuffed and chipped a guitar gets the better it sounds. I once knew a guy who refused to eat Penguins that were in the green wrappers as he said they tasted awful. It’s said that we eat with our eyes, so why not make music worth your eyes too? Fine cheers Nick, appreciate the concern but it was just that I was in a grumpy mood, and had a bit of a rant about Mr Corgan (I'm not his greatest fan ) and then thought I should be better than that, so deleted and I don't why I put that Chet Baker link in - probably because that's something I do like, in a positive vein, plus I'd just been listening to it, and it seemed suitably random. Funnily - I think George Ezra is a **** but I should be better than that. Well played actually I’m not a Corgan fan at all. I don’t get the appeal, so any malevolence towards Smashing Pumpkins or any other post-Halloween vegetable disposal is fine with me. That voice. Ugh.